Anatomy of the Equine is a partnership between Jenny Edwards and Paige Poss. 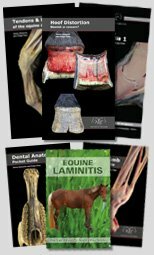 Both Jenny and Paige have extensive experience in hoof care and biomechanics as well as their individual talents: Paige as a dissector/photographer/educator and Jenny as a graphic designer/author/educator. Jenny was aware of Paige since the early 2000's through her website and had a genuine admiration of Paige's unique ability to teach using easy-to-understand analogies. In 2009 Paige needed help re-vamping that website and they forged a working relationship. Over the following years they stayed in contact and in early 2013, through a fortuitous email they came together to form Anatomy of the Equine. Jenny was drawn to horses from a very young age and spent all her free time at the local riding stable. She has an insatiable thirst for knowledge and as a result gained much experience. She competed in both English and Western styles of riding and in 1988 represented the United Kingdom in the European Western Championships in Munich. After first studying as a computer programmer, her creative streak led her to a career in graphic design where she worked in a multi-disciplined environment for over 15 years. In 2001 Jenny's heart-horse suffered from a laminitis attack that set Jenny off on her journey into natural hoof care. 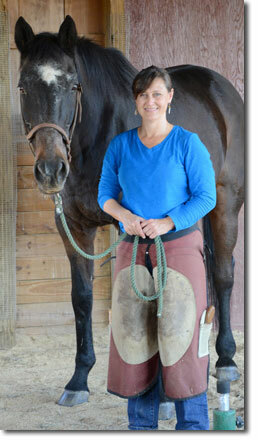 This led her to study natural horse keeping, equine dentistry and biomechanics. She felt inspired to share her knowledge and in 2006 www.all-natural-horse-care.com was born. 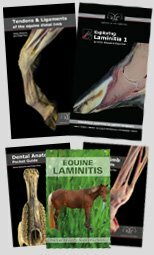 As a hoof care professional that deals mostly with metabolic horses she found that educating clients was a vital part of her job and in March 2013 she authored and published a guide to Equine Laminitis. She is an avid proponent for the horse and has a passion for raising awareness through education. Jenny lives in British Columbia, Canada. Paige has been fortunate to have had horses her entire life. Her love of them led her to her degree in Animal Science at North Carolina State University. She then went on to work as a research technician for leading scientists in the fields of biochemistry, toxicology, physiology, and nutrition. 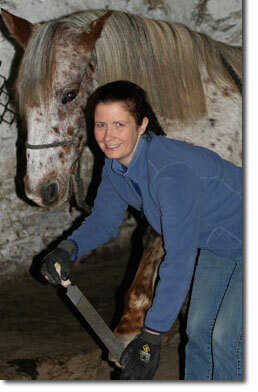 In 1999, Paige's journey into hoof care began with a laminitic horse. Little did she know it would lead her to a new career! Trimming hooves sparked her intellectual and scientific curiosity. Her initial website www.ironfreehoof.com started as a way to share her trimming knowledge, but then evolved as she became fascinated with anatomy. As an amateur anatomist and photographer, Paige has dissected hundreds of lower legs and documented her work. Her passions lie in creating images that teach and using easy to understand analogies to explain complex concepts. Paige is dedicated to learning and to sharing her knowledge. She is a member of the American Hoof Association, the Pacific Hoof Care Practitioners, and the American Association of Professional Farriers. Paige has taught trimming techniques and anatomy around the country and internationally, including a recent trips to the Dominican Republic and British Columbia. Paige lives in North Virgina, US.